Close to my apartment is a beautiful store for oriental stuff. 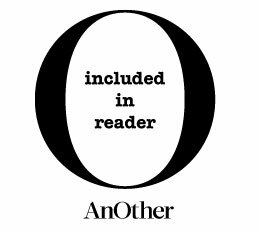 The owners also sell small oriental perfumes, that smell really strange – completely different to what we usually call oriental. Based mainly on spices, these scents smell exactly like a bazaar, in all its facets. I once bought one, I think its name was Kerim or so, and gave it to a friend of mine. It was a very strong clove scent. 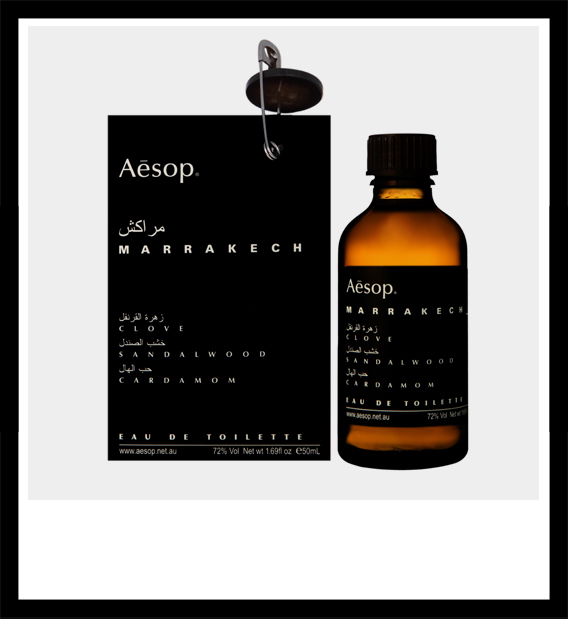 Marrakech by Aesop reminds me of one of those authentic oriental perfumes. The little brown bottle with the black label has to be used as a splash, the ingredients are 100 per cent natural. I like the idea having a bottle of this in my bag to escape from my everyday life, like a short trip to the Medina. First of all I smell bergamot and cardamom with its menthol-like flavor – very refreshing. Kind of a tiger balm effect, but with a completely different scent. Rose and clove mixed with sandalwood and earthy patchouli bring you down, ground you. In the background you can feel the uplifting energy of neroli. This scent is spicy, smoky, fresh and warm at the same time, grounding and uplifting, full of energy and at the same time very peaceful. Magic! Sometimes I just put some splashes of Marrakech into the palms of my hands and inhale. Then I am far, far away… and very relaxed. You can always find it on my desktop for a little break during my stressful days of work. I put it on – silence, calm, peace. It’s like switching off everything around. Kind of a spiritual thing. The scent is nothing I would wear to impress someone, I wear it just for myself. And I feel happy.